AMS Rentals offer some of the very best self-catered ski chalets and apartments in the Meribel Valley. Now in our 21st season, over 28,500 skiers have stayed with AMS Rentals. We are particularly proud of our large returning clientele. Over 55% of our guests have been back at least once and several return annually; more like friends than clients. We make every effort to provide a personal and welcoming service as well ,of course as ensuring our guests find their perfect ski home in our privately-owned chalets and apartments in the Meribel Valley. These properties are available to rent by the week or for longer periods, summer and winter. All our properties are non smoking. AMS Rentals’ Meribel properties have been specially selected for quality, location and price. They range from six bedroom chalets to two bedroom apartments, many of which are piste-side. They offer a quality of accommodation not normally available on a self-catering basis and are covered by a full management service contract. Both our UK and Meribel-based staff have many years’ experience of the Meribel Valley, and you will benefit from their extensive local knowledge when booking your holiday as well as in the resort. We have properties available throughout the year in Meribel, Mottaret, Les Allues and Meribel Village. If you are unable to find what you are looking for in the following pages please contact us directly at our UK office. Although AMSRentals specialise in self-catered properties, we understand that many of our guests like the extra to make their winter ski trip a real holiday. We have a network of local business who will help you with everything from car hire or transfers, lift passes and ski equipment delivered to your chalet, to food & drink shopping or even your meals prepared and delivered. You will find links to all these services on your links page, and once you have booked with AMSRentals and logged into myAMSRentals you will find promotional codes exclusively for AMSRental’s clients. AMS Rentals has adopted two systems for rating our Meribel rental properties:-A star rating system from 1 to 5 stars where AMS Rentals grades its own properties as a guide, and the Méribel Label, awarded to over half the AMS Rentals’ properties by the Méribel Town Hall. The tourist office created the ‘Méribel Label’ to highlight quality accommodation in the Meribel Valley by taking into account standards of ambiance and decoration which reinforce the ‘chalet’ image of the valley. Consideration is given to the quality of wall and flooring materials as well as the use of typical mountain materials such as wood panelling and rustic plaster. A document illustrating these standards of decoration is available from the resort Tourist Offices. A small number of AMS Rentals’ Meribel properties which are highly rated by us, have not been awarded ‘Label Meribel’ because of their more contemporary interior design. Our luxury 5 star properties have towels and linen included in the price and some apartments have bathrobes included. For all other properties we offer you our linen hire service. Our towels are among the most luxurious towels available, and as standard we offer large bath sheets rather than a traditional smaller bath towel. 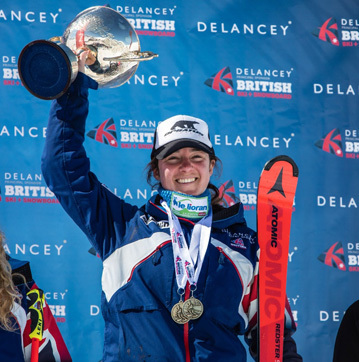 AMSRentals and AMS are proud to continue their sponsorship of Cara Brown - four-time British Alpine Ski Champion. Cara spent the season 2017-2018 competing in Europa Cup and World Cup events. 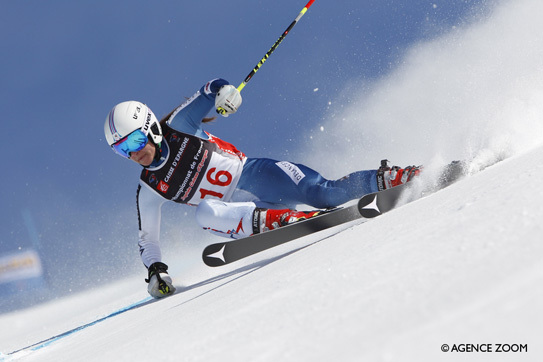 Cara made her first Europa Cup points in Giant Slalom in Norway and then went onto make another 4 top 30 Europa results throughout the season. Her most successful race was the World Cup in Crans Montana where, from bib 52, she finished just 2.6 seconds off the world number 1. Cara is four-time British Champion: 2014, 2015, 2016, 2017. Cara was well on her way to be British Champion for a fifth consecutive year in 2018. Unfortunately a high-speed crash in the downhill (which she was winning by over a second) resulted in a fractured tibial plateau and her season ended early. However, Cara is already back on skis and training hard. For the winter 2018 -2019 she will be based in Italy in the Dolomites with the International Ski Racing Academy. ISRA is run by Chris Knight who has been Linsey Vonn’s coach for nearly 15 years. Cara is really excited about this change in her training and already looking forward to her next camp in Chile where she will be aiming to win the South American Cup Super G title. Cara recently set up her own swimwear line to help fund her skiing. Called Corallina Swim, her collection is inspired by the British Virgin Islands and features bright prints, reversible bikinis and all pieces are sold separately so you can mix and match sizes, shapes and styles.